The unique cultural identity is a reason making Vietnam become one of the most attractive destinations in the world. From North to South, festivals – an inevitable part of a rich culture are usually organized as a way to keep and foster traditional values of the country. Let’s have a look at 7 spring festivals in Vietnam below to have an insight into the culture of this nation. 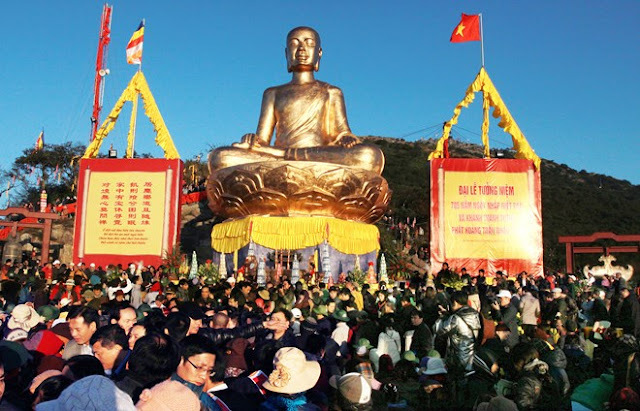 Beginning on 6th January and ending in March (lunar calendar), Huong Pagoda Festival in Hanoi is the longest festival with the number of participants up to over 1.5 people in some years. 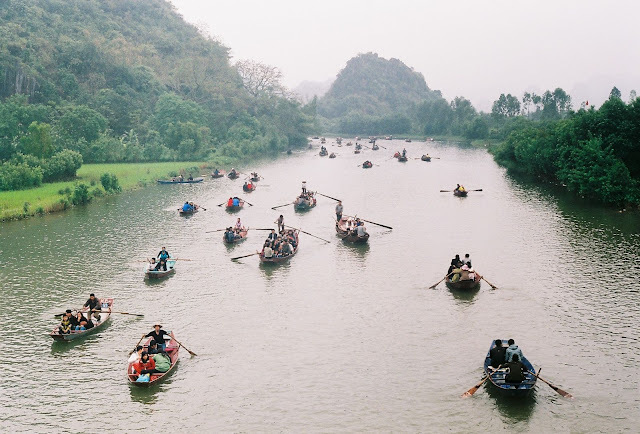 Not only being a large-scale pilgrimage, this festival but also is really a highlight of Hanoi tourism with a lot of unique cultural activities. Taking part in Huong Pagoda Festival, visitors will immerse in the space of the poetic Yen Stream, the majestic Huong Tich Caves…. Taking place in Tran Temple (Nam Dinh Province), it is one of the biggest spring festivals in Vietnam. Normally, it is held from 11th to 16th January (lunar calendar) to celebrate Tran Dynasty – the famous dynasty in Vietnam history with glorious victories in resistance against invaders. The seal opening ceremony – the soul of the festival, is often organized on the 14th night of the lunar January. Besides, there are some traditional activities like lion or dragon dance, folk music performances, human chess contest, wrestling, martial arts demonstrations… to serve travelers. Vieng Market takes place at midnight of 7th January (lunar calendar), but tourists from all places often gather here right from that afternoon. 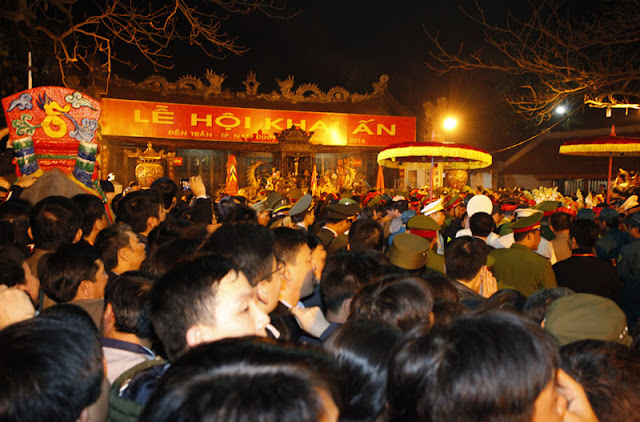 They come here to join Phu Giay Festival which worships Lieu Hanh Goddess – one of immortal gods of Vietnam. This festival is organized only one time in a year. People believe that if you can buy some beef or trees in this market, you will be lucky all year round. 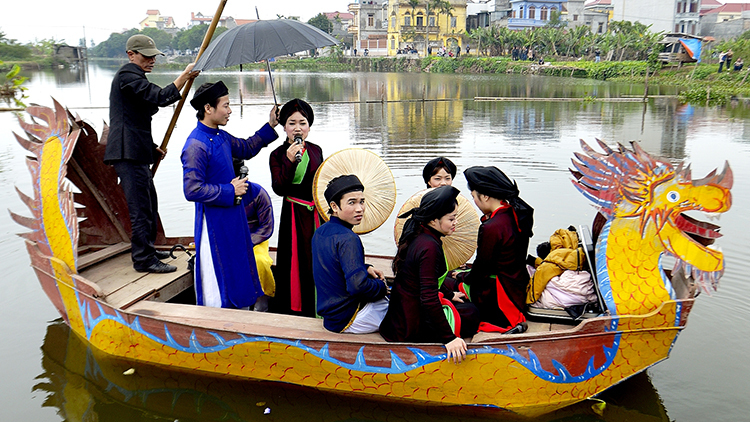 Originated from a famous legend, Lim Festival is one of the most important spring festivals in Vietnam. This is a big festival of Bac Ninh Province with many activities related to culture, art and spirituality. Especially, during the festival, there are numerous folk music, rice-cooking, wrestling, chess… contests. They are not only forms of entertainment but also good ways to maintain the cultural identity of “the land of folk music”. The time when Lim Festival starts is between 12th and 14th January (lunar calendar). This festival is held in Yen Tu - the historical site and famous landscape in Vietnam from 10th January to March (lunar calendar). Mt Yen Tu with the height of over 1000m is regarded the ancestral land of Buddhism in this nation. 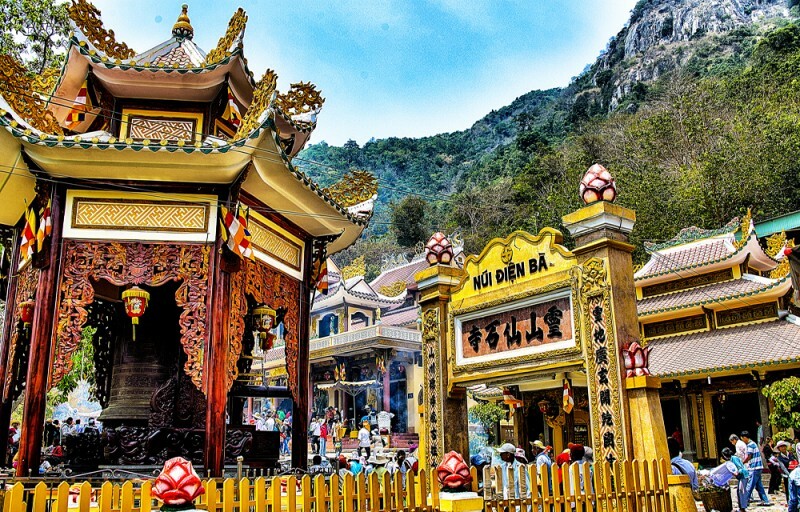 To reach Dong Pagoda – a sacred temple on the peak of Yen Tu, visitors can choose to climb to the mountain or travel by the cable car system. Starting on 4th January (lunar calendar), Ba Den Mountain Festival is one of the biggest spring festivals in northern Vietnam. Dong Da Mound is a well-known historical site where Quang Trung King led Vietnam people to defeat foreign invaders. Therefore, this festival is organized to memorize contributions of this great king – the hero in the national history. 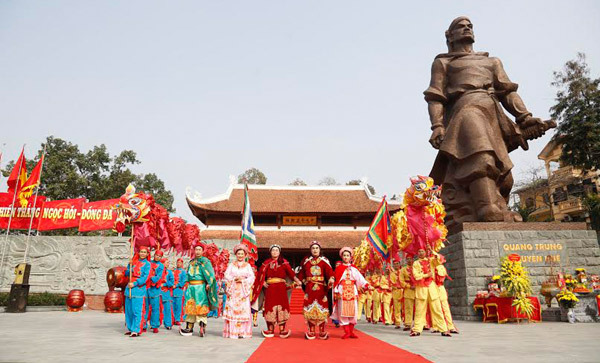 Coming to this festival, tourists will have the opportunities to admire unique performances to replay historic battle under the reign of Quang Trung King. So if you travel to Vietnam in the spring, don’t forget to join these outstanding festivals. Enjoy them!